The tiniest spark can send Afghanistan and Pakistan to war. Steven Frisk’s job is to make sure that doesn’t happen. Ali Hassan Ashwari is doing everything in his power to ensure it does. A CLOUD IN THE DESERT is a 61,000 word Espionage/Action novel. The story follows Steven Frisk, a CIA Operations Officer, as he sets about to prevent what started as a border skirmish from escalating into a full scale war. "sets about to prevent what started"--great snakes! Parse that out, I dare you. When you look at or, better yet, when you read it out loud you should hear that this is not smooth writing. He must prevent a border skirmish from escalating into full-scale war. See the difference? When I see this in a query, I don't care how wonderful or thrilling the concept may be. This is Not Good Writing, and I know I'll see it in the novel. And lest I hear snorts of derision from the assembled chums, let me assure you I know every published novel is not Great Writing, far from it. But most high octane thrillers (which this purports to be) have a forward momentum and energy that keeps the reader turning pages. This kind of inverted syntax just slows us down. One of these days I'm going to assign a minion the task of counting how many times I've said "simple writing is best" and then make all of you write it that many times on the blackboard. Behind the scenes, a A corporate conglomerate is manipulating the events to help boost their profits through sales to both sides. Will Steven be able to unravel the web of deception that has been laid out before him in time to prevent a nuclear war? Will his former protégé succeed in thwarting him as he tries to set the world back to neutral? Set in contemporary times, A CLOUD IN THE DESERT poses the “what if” questions associated with America’s involvement with both Afghanistan and Pakistan. Avoid those rhetorical plot questions. Be specific about what the corporate ne'er do wells are plotting. Selling arms to both sides is business as usual, as is contributing to both candidates in an election. It's legal too. What are they doing that's evil? Professionally, I am an attorney. In my free time I am an amateur military historian, with a focus on World War II and recent Middle Eastern conflicts. There's a recipe for getting plot on the page in a query letter. I know it's there: I wrote it. More than once. If you read the archives, you'll find it. (A) The tiniest spark can send Afghanistan and Pakistan to war. Steven Frisk’s job is to make sure that doesn’t happen. Ali Hassan Ashwari, a fellow Operations Officer with the CIA, has let himself become controlled by the Invictus Corporation and is doing everything in his power to ensure the war does happen. A query needs to be nimble. When you look at that paragraph, what can come out and still give the reader enough info? For starters, do we need to know Ali is a fellow operations officer? Or that he's with the CIA? Or that he's controlled by Invictus corporation? (B) The tiniest spark can send Afghanistan and Pakistan to war. Steven Frisk’s job is to make sure that doesn’t happen. Ali Hassan Ashwari is doing everything in his power to ensure it does. Which paragraph, A or B, entices you to read more? My vote is B. It makes us wonder what will happen next and entices us to read on and find out. The trick for writing a query is almost always leaving things OUT. Over explaining, too much exposition, too many characters--all those load a query down and make it plod rather than elegantly leap from point to point. A CLOUD IN THE DESERT is a fast-paced, 61,000 word Espionage/Action novel. It is set in contemporary times with recognizable historical events to help create a sense of realism. I have drawn upon my own experiences with most of the locations to give the world of Mr. Frisk a rich and realistic feel. This is telling not showing. Don't do that. There's nothing about the plot here or what's at stake. You have to have that in a query. Professionally, I am an attorney. In my free time I am an amateur Mmilitary Hhistorian, with a focus on World War II and recent Middle Eastern Cconflicts. Yes, I nitpick on queries. These nits tell me how meticulous you are (or are NOT.) Conflicts isn't a proper noun, thus it is NOT capitalized here. Neither is military historian. You absolutely have to know this. If you don't, or are not confident (it's not a character flaw,) hire a copyeditor. 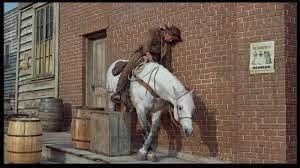 he did say there was a horse in Wyoming that deserved half of it. A flash-point exists between Afghanistan and Pakistan and only the tiniest spark will send these two countries into war with each other, and Operations Officer Steven Frisk, a Analyst and part-time Field Operative with the Central Intelligence Agency’s National Clandestine Service has been called upon to mitigate this as best he can. Steven must contend with a fellow Operations Officer who has inadvertently gone rogue and is controlled by a global mega-corporation looking to expand its profit and gain a larger footprint as a multifaceted defense contractor. Steven Frisk will be called upon to stop the war, and above all stop the corporation from causing more death in a nuclear war. Second, you're repeating yourself but you don't realize it: "A flash point exists" and "only the tiniest spark will send" are essentially the same thing. Thus: The tiniest spark can send Afghanistan and Pakistan to war. You also don't need your main character's entire CV in the intro. Just by his placement in the first paragraph, your reader assumes he's important, assumes he has something to do with the situation you're setting up. USE the intuitive leaps your reader will make to pare your query letter down to enticing essentials. Thus: The tiniest spark can send Afghanistan and Pakistan to war. Steven Frisk's job is to make sure that doesn't happen. 20 words. Instead of 52. Then do the same thing for the antagonist. Name him, tell us what he wants and why. If you can do that in around 20 words, you'll have a nice taut opening. A CLOUD IN THE DESERT introduces the character of Steven Frisk in a fast-paced, 57,000 word mainstream Espionage/Action novel, the first of a potential series. It follows him as he vies with a fellow Operations Officer, Ali Hasan Ashwari, who has been duped by a corporation into starting not only a conventional war between Pakistan and Afghanistan, both US allies, but also to try to turn it nuclear. You will follow Steven through the deserts of the Middle East, the mountains of Afghanistan, and urban settings such as Islamabad, Pakistan and London. The novel is generally set in a contemporary time with recognizable references to historical occurrences to give the plot a sense of realism. Cities have been researched and in some cases been visited to paint an accurate picture of the surroundings provided in this novel. I am an attorney with a background in political science who has travelled extensively. Most of my writing to date has been in a professional capacity, including two published articles on Science-Based Medicine, which is an online medical blog. My articles were entitled “This” and “That”. I have also contributed to collaboration projects within the Pharmaceutical industry as well as THE OTHER , a science-fiction compendium published by Them, where I contributed technical advice on the future of medical science. In my free time I am an amateur Military Historian, with a special focus on World War II and recent Middle Eastern Conflicts. Aha! Attorneys have intuitive writing beaten out of them in law school with a stick. Good legal writing covers all the bases. Good fiction writing leaps elegantly from point to point and lets the reader see the base without actually touching it. Good legal writing is chess. 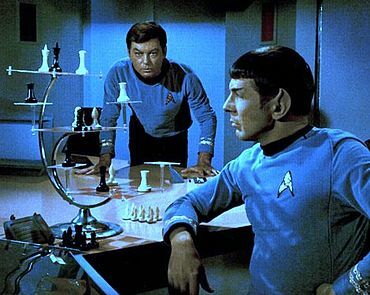 Good fiction writing is three dimensional chess. I wish to thank you for the time you took to read this. You should expect at least two more revisions after this one. Once you do the major paring and refocusing you'll see some of the other problems. Are you sure you read the archives? After her mom’s death, Jen McKenna developed an obsessive fear of losing the people she loves. Forced to make a decision that could put her grandmother’s life in jeopardy, her fear becomes justified. Her When Jen's beloved Grams falls ill and it’s up to Jen to care for her farm. She thought it would be as simple as running Grams’ booth at the flea market and taking care of the herb garden. Instead, life becomes more complex than Jen could have ever imagined. With no explanation why the cut on her face healed overnight, or why the mayor trumped up charges against her to shut down Grams’ booth, Jen’s search for an answer leads to one conclusion. There’s much more to her past than she’s been told. The last thing she needs is another complication, but when Jen meets Mike, the attraction is instant and mutual. As their relationship grows, she realizes it was more than a chance encounter. Mike holds the key to information revealing the truth about Jen’s heritage. The old rock slab beneath the willow in Grams’ backyard is a Bullaun Stone, an ancient artifact that gives her descendants powers Jen thought only existed in Irish folklore. Unfortunately, twenty-two years ago her mother made the ill-fated decision to tell a college classmate about the Bullaun Stone. Now he is blackmailing Jen. Either she uses the stone for his benefit, or Jen will lose the only family she has left. That's not blackmail, it's extortion. THE BULLAUN STONE is a mystery with magical elements, complete at 90,000 words. This isn't a mystery. You're not trying to figure out whodunit. It's more of a suspense novel: how will it end. And what's Mike's part in the plot. If he holds the key, he's got to be an integral part of the plot but we don't see that. There's nothing enticing here. The stakes are too low and grandma (beloved only to Jen, not me) should have kept her trap shut all those years ago. She caused all this ruckus and now we have to care if she lives or dies? Not bloody likely. Defenestrations all around. Jocularity aside, if the stakes are that Gran dies, we better care about her. And I've cut and chopped and sliced and diced enough on this query to have a suspicion that the writing isn't yet ready for publication level consideration. You absolutely must develop an ear for what makes good sentences and paragraphs. Your query is about the book but it shows your writing. It needs to be precise, elegant and full of voice. This isn't an improvement on the initial letter. Take some time to really work on this. An old diary, a stone bench, a poisonous flower, Irish folklore. Jen McKenna has to find the connection in order to save her grandmother’s life and possibly her own. I'm voting for both of them to die in a wolverine attack. The problem with starting out with stakes like "she'll die" is that I don't yet give a rat's patootie about the characters. Thus I can channel my inner Queen of Hearts and shout "off with their heads" with nary a second thought. That response (and believe me it's not a response limited to sharks) is why you start with the main character and the problem s/he faces. Further, the list itself is just plain boring. Now if you started with: a wolverine, a shark, an author and a jetpack, I'd be intrigued. You absolutely positively cannot be boring in the first line of your query. Jen hasn't been back to her grandmother's house since the car accident that took her mom's life, an accident for which Jen blames herself. Now she returns to care for the homestead when her grandmother is hospitalized. Ok, here's the sentence you should have started with. Jen is at Grandma's house and she's in distress about killing her mother. Ok. Now, what's the problem? Her curiosity is aroused when she finds her grandmother's dairy (best typo of the week) and an old burlap bag containing a tin box and a worn stone. But right now Jen has a bigger question -- why are her cuts and bruises disappearing overnight? huh? what? These two paragraphs don't flow at all. You've done more than take a right turn at Albequerque Albuquerque (oops!) here my Wile E friend. You've gone straight off the cliff. The paragraphs are disjointed in the extreme. You solve that problem by starting with the cuts and bruises. THAT'S the big problem, not her guilt about poor dead Mum. "why are her cuts and bruises disappearing overnight?" is the first sentence (obviously you'll rework, not just copy and paste.) It's a WHOLE lot more enticing than that list. Jen becomes romantically involved with Mike, who offers to help piece together the clues that unlock the mystery of her grandmother's past and Jen's present. Irish folklore becomes reality when they discover the slab bench under the willow tree is a Bullaun stone. Gifted to her grandmother by her first love, it endows her descendants with special powers the year they turn twenty-one. Gifted is not a word, and I don't care who says otherwise. And this paragraph doesn't really explain anything about the cuts and bruises does it? And Mike is sort of thrown in there without having a real purpose. Her grandmother's health is deteriorating so Jen devises a way to use ther new-found gift to keep her alive and young forever. And maybe assuage the guilt she feels over her mother’s death. But Jen and Mike aren’t the only ones who know about the Bullaun stone. Twenty-two years ago, Jen’s mom made the ill-fated decision to share her secret with a college classmate. Now he’s willing to kill for its power. You might want to get to this a little sooner. When Jen’s plan to save her grandmother begins to unravel, she must decide to what length she’ll go to preserve the life of those she loves. Let me guess here--she'll go to GREAT lengths. She might even volunteer for dangerous duty. This is too obvious to be enticing. Only if she would NOT go to great lengths to save the ones she loves would I find this enticing. Me, I'd just throw them to the wolverines and swim off into the sunset. THE BULLAUN STONE is a women’s light fantasy, complete at 83,000 words. dairy for diary. This tells me you didn't read this aloud before you hit send. You're either writing too fast, or not letting your query sit long enough before sending. Fresh eyes would have caught it. ther new-found gift. This tells me you didn't even run spell czech, and that's a problem. I'm not rabid on the subject of typos unless they indicate you simply aren't paying attention. These two say exactly that. The reason this is a red flag for me is that I envision copy-editing your manuscript for these little errors, and honestly that's not the best use of my time. Your query letter is NOT the time to be casual about spelling. This needs to be tightened up to focus on the things that matter. You also need to avoid unenticing cliches and obvious stakes. Your job in a query letter is to entice me: obvious things and cliches do not do that. The first sentence catches my attention. The rest of the letter tells me who the main character is, what her problem is, who the antagonist is and what he wants, and what's at stake. If I took on YA novels, I'd ask for pages.